This ultimate beer batter is easy to make. The secret is DYC malt vinegar which makes the batter super crispy and tasty. Use for fish or vegetables. Whisk the flour, beer, baking soda and DYC malt vinegar together. 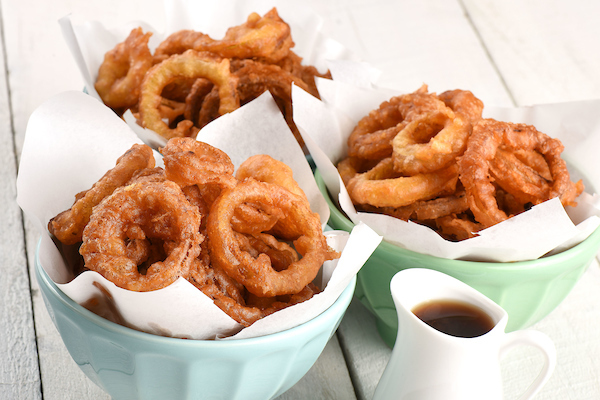 Dust fish, vegetables or onion rings with flour then coat with batter. Fry in hot oil until golden and crisp. Serve with DYC Malt Vinegar to season.